Not sure where to put this post…but is there an area dedicated for selling/buying between community members? There is section over on the ST community forum. Found a great promotion or deal on devices around that you want to share with the rest of the community?! Share them here! I know the Iris Sensors are no longer being sold by Lowe’s, but there a whole lot of them out there in the world. I also know that sticking them up with double sided tape, or tak-gum, or whatever you use is a real pain. It destroys the wall and makes it a pain to get them back into the exact position you had them before. And yes, even now after all of this time we still have to reset them occasionally as well as change the batteries. So, I made this simple and easy mount. 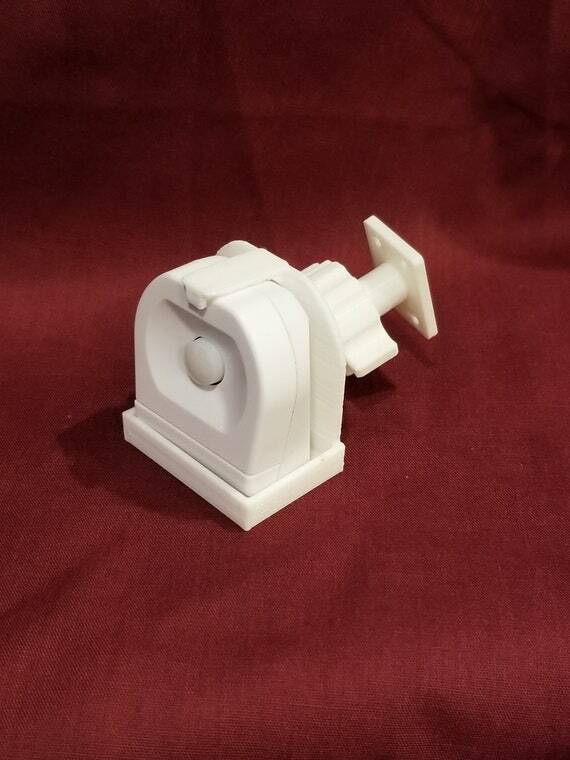 It’s on a swivel so you can position the sensor any way you want and it locks in place. The sensor pops out and snaps in very easily, so there is nothing to taking it down and putting it back. 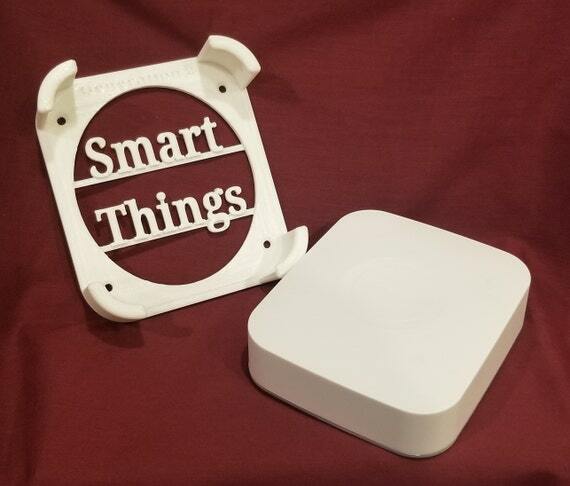 I’m working on making similar mounts for other sensors, ie. Phillips and ST. I just have to get my hands on them. If you’re looking to organize your HA shelf and make sure your hub is safe and secure, take a look at these. The hub locks into the mount and stays until you’re ready to move it. Using Wyze camera’s? If not, you should be! They are cheap and work great. If one gets broken or dies, you’re not out of much money. No, I’m not selling cameras, but we still need to protect our investments. 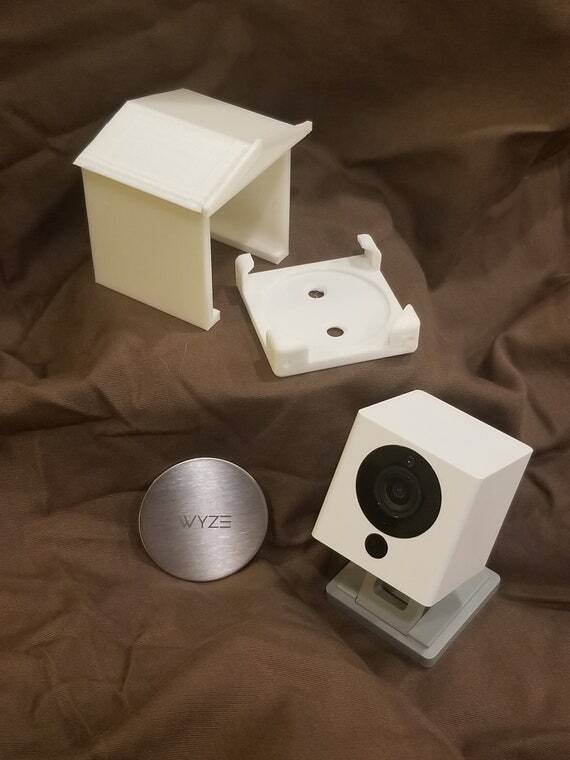 Now you can mount your Wyze V2 cams outside and have them protected!